Toronto is a dynamic blend of explosive flavours, inspiring talent, lively entertainment and some must do activities. The diversity makes this city a destination to discover. There is never a dull moment when you are exploring the streets of Toronto. With several fun activities and games throughout this colourful city it guarantees to keep you happy. Some neat activities to do in Toronto range from going to The Rogers Center, Casa Loma (escape rooms), Woodbine Entertainment (race track), and of course, Bad Axe Throwing. Bad Axe Throwing has been ranked # 1 in Fun & Games in Toronto. 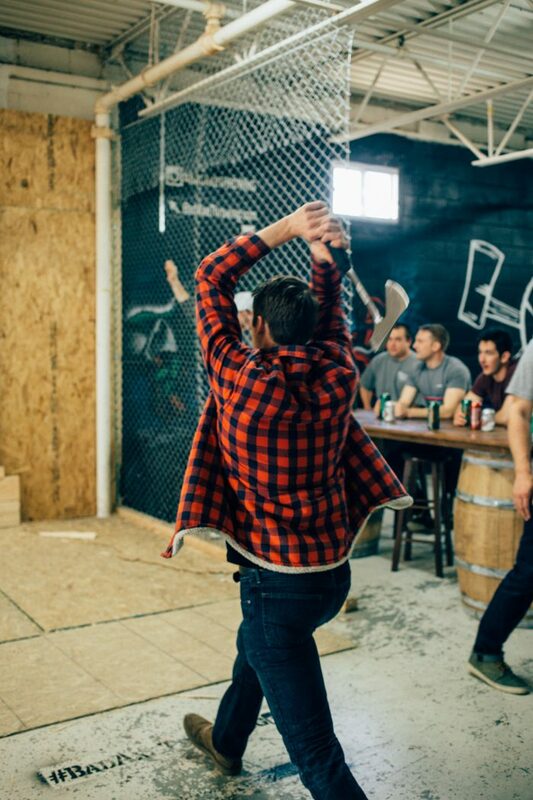 Trip Advisor has named Bad Axe Throwing as Toronto’s top fun and games activity . 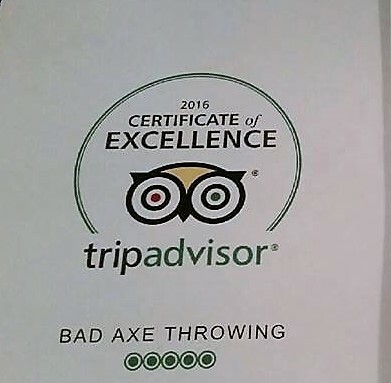 With great reviews and amazing experiences it’s no wonder that Bad Axe Throwing Toronto is the ultimate place to play. Bad Axe Throwing Toronto has had an outstanding following since they opened their doors in the Spring of 2015. It is located in the heart of Toronto, in the Junction area, at 346 Ryding Ave, Unit 201, Toronto, Ont. The location is equipped with three lanes that can accommodate 100 + people which allows for more fun, more games and more celebrations. 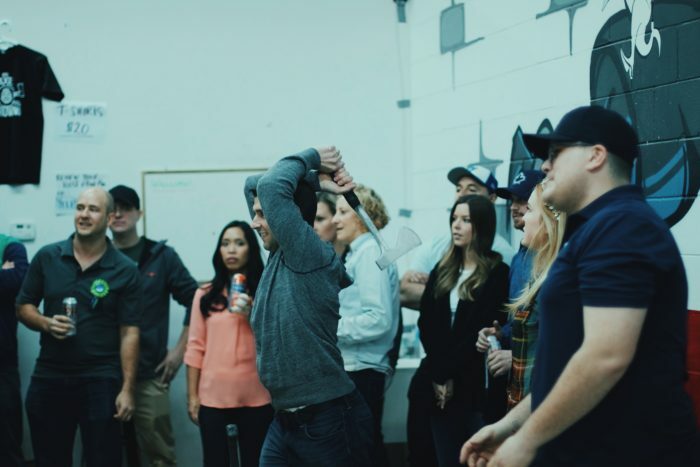 Whether its a birthday, a bachelor/bachelorette party, a work event or anything you want to celebrate, Bad Axe Throwing Toronto is an exhilarating choice. This is a place where you come alive. Holding the axe and having full control is very empowering, you may even call it therapeutic. To be able to release all your stress and just have a laughing good time is truly freeing. Each event is hosted by a coach and they are committed to ensure your safety with no shortage of fun. They will begin teaching you how to throw and then kick it off with some entertaining games. They also know how well food and drinks compliment a good time and allow you to bring your menu of choice at no extra cost. Your time will be well spent at Bad Axe Throwing Toronto. And if Toronto is a little too far, you’re in luck. Bad Axe Throwing has other locations in the GTA such as Mississauga and Vaughan. All locations provide the same amount of awesome for your next event.